Stuart is a lifelong resident of Laxton, a farmer since leaving college, and a long serving officer and member of the Court Leet. He trained as an agricultural engineer and has an active interest in restoring vintage tractors. Stuart is happy to visit groups in their home venue to introduce the topic of Laxton. The emphasis of the talks will be decided in consultation with the group organiser. 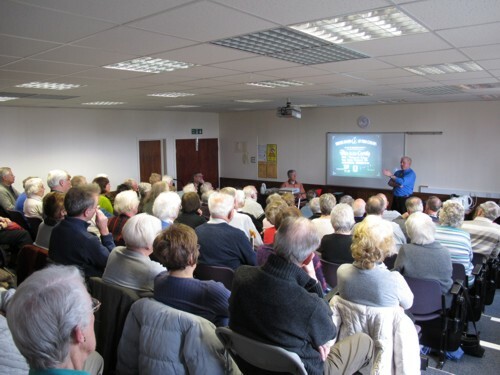 Heritage films are available to be shown as part of a talk. Groups usually find that a talk is not only fascinating and educational in its own right, but also a offers a valuable insight into the importance of what there is to see in the village and open fields during a follow up visit. If time is limited, an introductory talk can be given before setting off to see the area. The choice is yours - please contact Stuart Rose to discuss your needs. 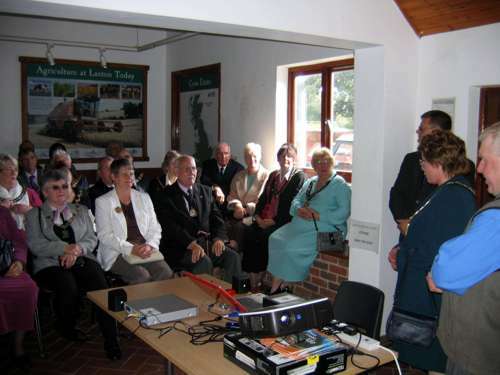 Groups visiting Laxton may visit the village Visitor Centre. Other under cover options are available by prior arrangement. Visitors may visit the privately owned museum, for which a donation is requested. To discuss you requirements and arrange your talk or visit, please contact Stuart Rose.